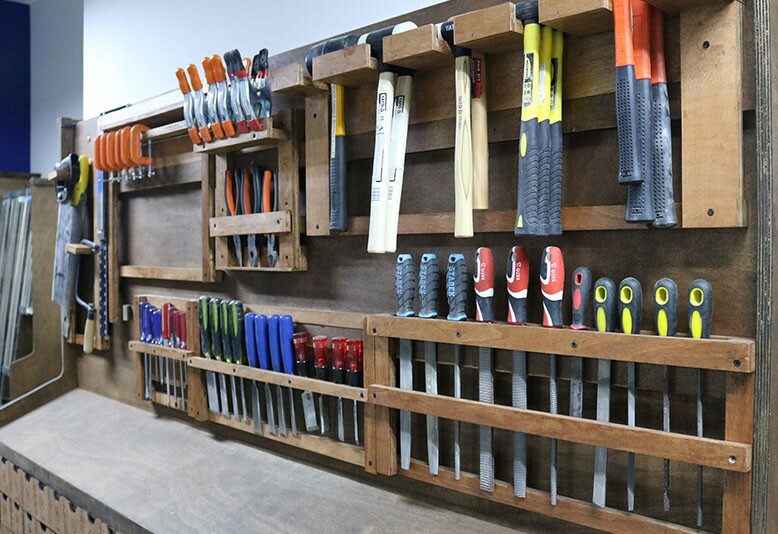 This is a great skill building class for adults who are looking to familiarize themselves with these tools before undertaking a DIY project. The class is also ideal for young people who are interested in learning how these tools can empower them to build whatever they imagine, from a skate ramp to a backyard roller coaster. In this class, you will learn how to safely operate a number of the most frequently used hand tools. Your instructor will guide you through the proper techniques to cut, shape, assemble, and finish a small project. Prerequisites: None! Learn to safely use the equipment with hands-on learning.